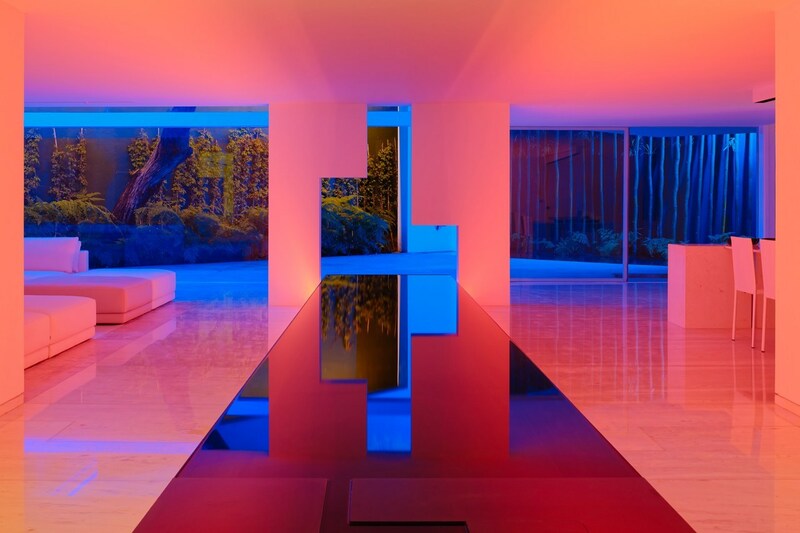 Designed by Miguel Angel Aragones, the Rombo IV residence exudes cinematic beauty, its spacious modernist interiors lit up with color bursts of neon to transform the property from day to night. Surrounded by woodland, a wave of fluorescent light brings out the home’s playful side when the light drops, leaving behind a restrained white washed interior style that keeps things tranquil during daylight. Formed of four separate buildings, the Rombo IV is a series of three private houses and a studio located in a central, tree-lined neighbourhood in Mexico City. 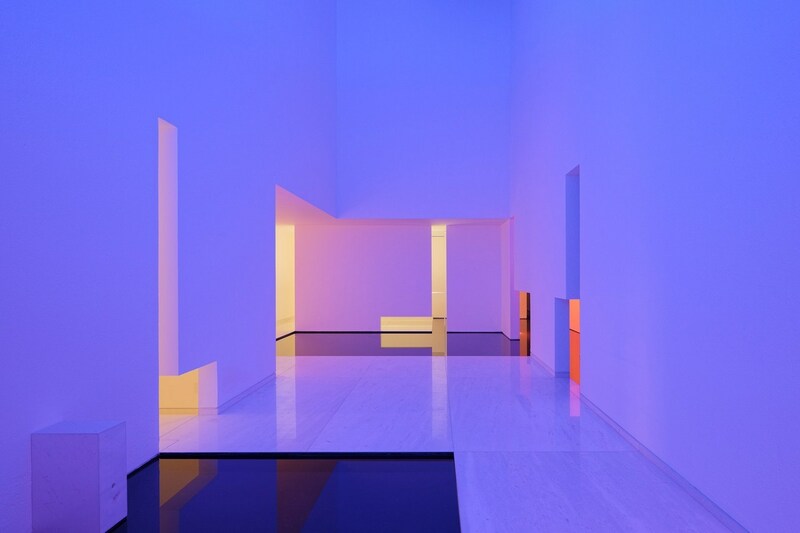 Characterized by clean lines, hard surfaces of marble stone, and expansive walls of glass, the complex feels part luxury retreat, part gallery – emphasizing the light installation that elevates its impact.